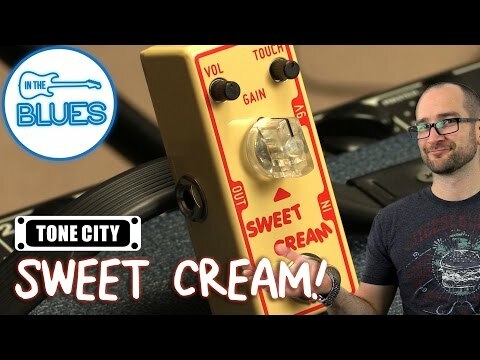 The Tone City Sweet Cream Overdrive is based on the gorgeous tones of the Mad Professor Honey Overdrive Pedal. It has three simple controls and would have to be one of my favorite amp like overdrives I have had a chance to test of all time. These small pedals are built like a brick and have tone for days. If you're after an amp like overdrive you could leave on or stack with another pedal, this is a great choice. This pedal feature three simple controls which includes Volume, Tone, and Gain. The gain control supplies the pedal with more or less overdrive depending on the type of sound you want. This is already one of my favorite pedals for an off-clean tone. It's simply fantastic. 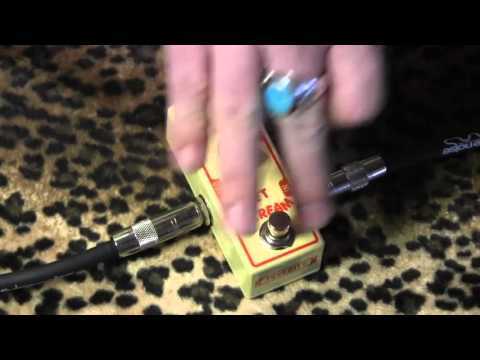 All Tone City pedals are True Bypass and require a regular 9v Power Supply for operation as there's no battery slot.